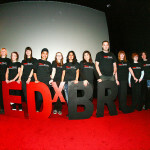 TEDxs are amazing events and its great news that finnally we are having one in Birmingham, why it has taken this long for the second city to run a TEDx event is anyones guess. The event will take place on the 24th March 2012 and this years theme is The Next Revolution. It wont have escaped many peoples notice with the media covering it almost everyday over christmas but the high street is on the decline. Bricks and Mortor is fast becoming clicks and mortor as more move online. If I was a betting man I would say anything that can easily be posted to your house will move online and we will be left with a high street that combines those things that need to be tried on or are huge, such as furniture. If this comes true then we can expect HMV, Game, GameStation, PC World and the likes of Waterstones to disappear from our high streets over the next few years. Download Streaming will kill any of the content providers, we have already seen music retail change and we are pretty much left with just HMV which has been hanging on through games and peripheral sales. Once it becomes normal to download movies, music, books and games these retailers will find their business model broken and the game is up, this day is no more than 12-18 months away. Mary Portas report into the high street pretty much tell us what we already knew which is its on the decline, on life support and in some towns it has flat lined. 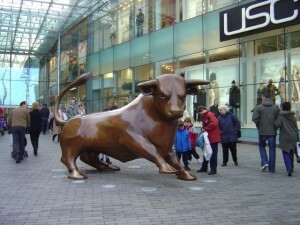 I have watched the Birmingham high street shrink over the last 12-months, while the bull ring continues to be strong the rest is suffering. Corporation street has been shrinking and moving closer towards New Street, with only the larger retailers holding out (Gap, Rackams). When a retailer closes they are now often replaced by a cheap retailer (pound shop, baguettes for £1), which just speeds up the decline as any surrounding quality retailer see the footfall decrease and the demographic change. While I do agree with Portas recommendations I feer little can be or will be done before its too late. I think we need to make high street retail into an experience.